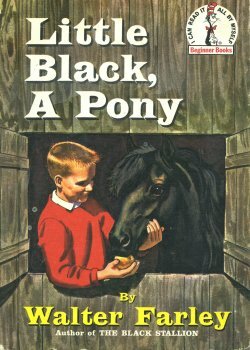 Classic tale of a horse from the Black Stallion series. 256 pgs. Solid how-to information in a comprehensive, step-by-step handbook. Covers:stable care, equipment, tack, clothing, longeing, lessons, jumping, showing. Filled with color photos and illustrations. 128 pgs. Ages 12 & up. 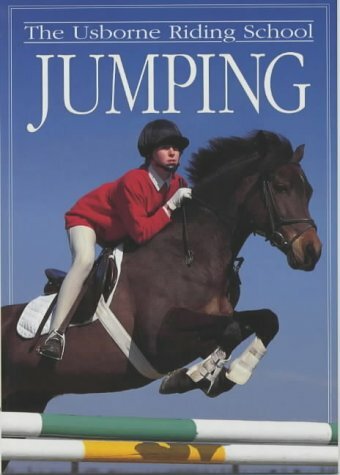 Introduces the reader to the exhilarating sport of jumping. 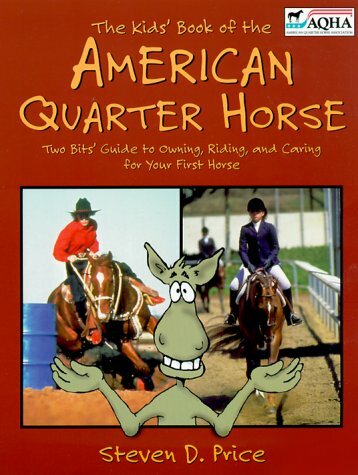 Detailed, practical advice on looking after and enjoying horses. Step-by-step explanations on care and handling techniques. Filled with colorful photographs and illustrations. 32 pgs. Ages 8-12. 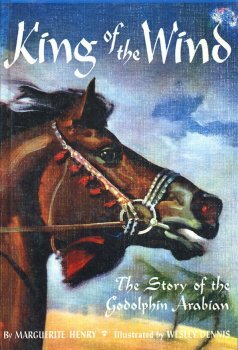 Classic story of a gallant little horse who fathered the famous Morgan breed. B/W illustrations. 171 pgs. Ages 12 & up. Pony Pal Trail is special to all the Pony Pals. The trail connects Pam's backyard to the pony paddock. The shortcut lets the girls see each other & their ponies all the time. But now everything has changed. New neighbors have built a sheep pen that blocks part of the trail. What will the Pony Pals do if they can't use the trail? Will Pam be the left out Pony Pal? Ages 7-10. 77 pgs. Fiction: Story about a horse, a boy, and Churchhill Downs. Winners of Kentucky Derby races from 1875 - 1955 listed on interior page. 224 pgs. Ages 12 & up. 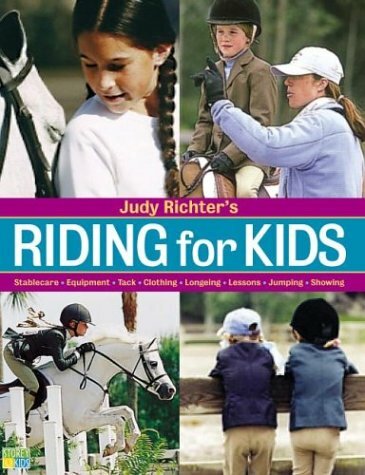 Guide to owning, riding, & caring for your first horse. Choosing a horse, where to keep it, outfitting, feeding, grooming, bedding & mucking out, helath, showing, racing. B/W & Color photos. Ages 14 & up. 181 pgs. Classic horse story. 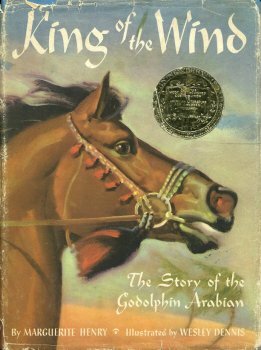 Follows the adventures of the Arabian stallion brought to England to become one of the founding sires of the Thoroughbred breed and the mute Arab stable boy who tended him with loyalty and devotion all his life. Illustrated. Ages 8-14. 174 pgs. 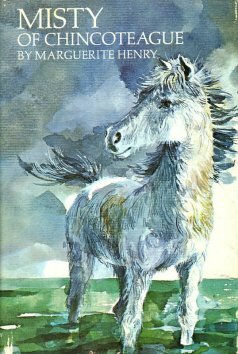 Book Size: 9.25" x 6.25"
Book Size: 9.75" x 7.25"
This wonderful collection of 16 stories featuring horses and ponies includes works by Adele Geras, Joan Aiken, and a retelling of the Greek myth "The Horses of the Sun." Ages 9-12. Illustrations. 159 pgs. 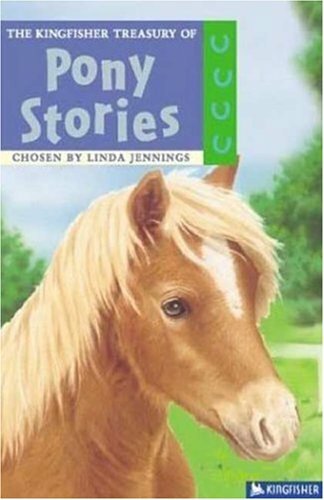 Fictional story about a boy and his horse. Color illustrations. 63 pgs. Ages 7 - 9. Miniature horses are the latest in equines, and their numbers and popularity are growing fast. In every way but size, miniature horses are just like their large cousins. They're good-natured and make wonderful pets for children, and because of their small size, they can be enjoyed in backyard areas, enabling urban horse lovers to indulge without acres of pasture or a full-size barn. Enjoy in text & photographs a look at these charming miniatures. Full-color photographs. 48 pgs. Ages 9-12. 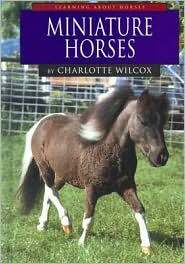 Discusses the breeds, characteristics, history, and uses of miniature horses. Color photos. 48 pgs. Ages 8-12. Classic horse story. 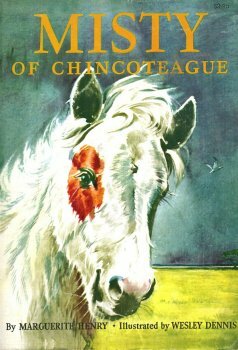 A story set on the islands of Chincoteague & assateague, just off the shores of Birginia. On Chincoteague live men, but on Assateague live only the wild ponies. 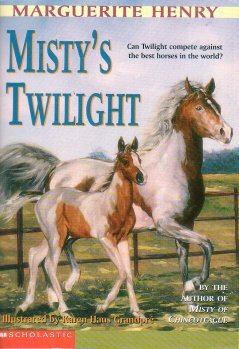 This tells the story of a beautiful mare & her colt, Misty - and of Paul & her little sister Maureen, who had set their hearts on owning them. How Paul & Maureen help to capture them & then almost loose them - how they astonish the islanders by taming the untamable wild mare - & how they win their final triumph on Pony Penning Day. Illustrated. Ages 8-12. 157 pgs. 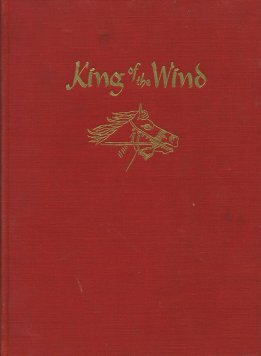 Book Size: 8.5" x 5.75"
Classic horse story. A story set on the islands of Chincoteague & assateague, just off the shores of Birginia. On Chincoteague live men, but on Assateague live only the wild ponies. 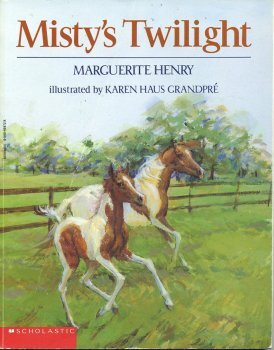 This tells the story of a beautiful mare & her colt, Misty - and of Paul & her little sister Maureen, who had set their hearts on owning them. How Paul & Maureen help to capture them & then almost loose them - how they astonish the islanders by taming the untamable wild mare - & how they win their final triumph on Pony Penning Day. Illustrated. Ages 8-12. 174 pgs. 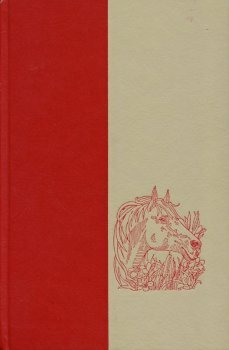 Book Size: 9.5" x 7"
Classic horse story. 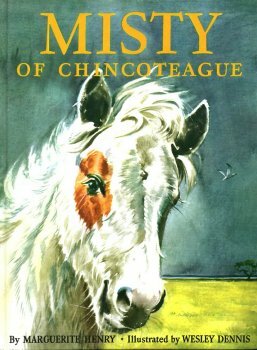 A story set on the islands of Chincoteague & assateague, just off the shores of Birginia. On Chincoteague live men, but on Assateague live only the wild ponies. This tells the story of a beautiful mare & her colt, Misty - and of Paul & her little sister Maureen, who had set their hearts on owning them. How Paul & Maureen help to capture them & then almost loose them - how they astonish the islanders by taming the untamable wild mare - & how they win their final triumph on Pony Penning Day. Illustrated. 174 pgs. 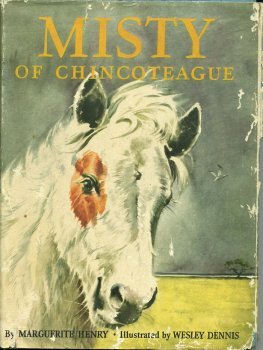 This is the story of Twilight, Misty of Chincoteague's great-great grandfoal. Illustrated. Ages 8-12. 143 pgs. Discusses the unique horse, Justin Morgan, and the special breed that carries his name and characteristics. Includes color photos, a photo diagram, glossary, & useful addresses. 48 pgs. Ages 8-11. A story in the series of the Mountain Pony. 222 pgs. Being an account of certain episodes in the career of Paul Revere, Esq. as recently revealed by his horse, Scheherazade, late Pride of his Royal Majesty's 14th Regiment of Foot. 152 pgs. Ages 9-12. Fiction - Set in 1865 - Life is hard enough for Alby since his family lost the year's crop to a violent storm. But now his beloved Pa has returned from the Civil War, and he's a disturbingly different man. Alby can barely relate to him, but they have a chance to make money and save the farm if they can capture wild horses on Mustang Flats. Will their daring plan also bring them back together? 116 pgs. Ages 9-12. Story of 'Wild Horse Annie' and her struggle to save the wild mustangs of the western frontier. 218 pgs. The classic story of an aimless teenager, a demanding father, and aspirited horse. 285 pgs. Ages 12 & up. The classic story of an aimless teenager, a demanding father, and aspirited horse. 232 pgs. Ages 12 & up. The classic story of an aimless teenager, a demanding father, and aspirited horse. 238 pgs. Ages 12 & up. 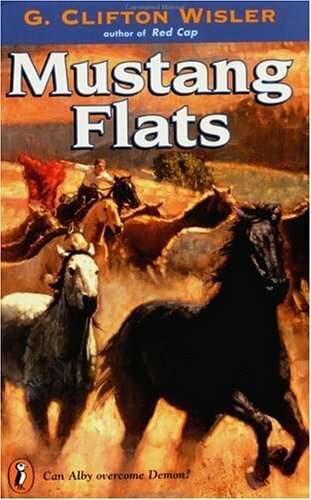 The classic story of an aimless teenager, a demanding father, and aspirited horse. 300 pgs. Ages 12 & up. The classic story of an aimless teenager, a demanding father, and aspirited horse. 310 pgs. Ages 12 & up. 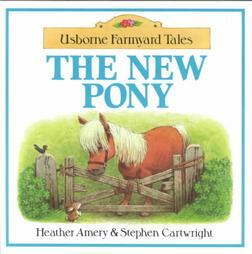 Story of a pony who comes to live at Apple Tree Farm. 16 pgs. Ages 4-6. Thirteen-year-old DJ Randall wants nothing more than to compete as a show jumper in the Olympics. Only one obstacle stands in her way--she doesn't have a horse. Together with her best friend, Amy Yamamote, DJ puts her plan for earning horse money into action. 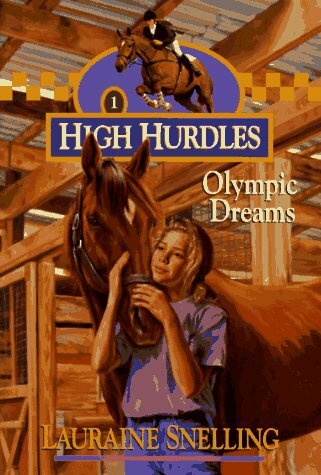 But just when it seems as if getting a horse is a real possibility, everything goes wrong and DJ finds herself further from realizing her Olympic ambitions than ever before. Ages 9-12. 155 pgs.